Hua Chen, a staff editor for The Vision, is from Lucedale, Mississippi. Currently a junior at MSMS, she spends her time stalking the media, practicing piano, and stressing over schoolwork. 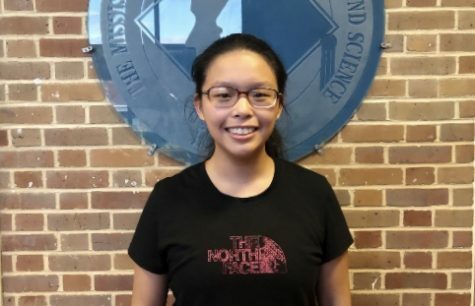 Her favorite subject is chemistry, and her current plans after graduation are to major in chemistry at Carnegie Mellon University. She loves to be challenged by her classmates whether it is in academics, or stuff in general. Aside from school, she is always open to watching movies with friends. She hopes for the best for her junior year in The Vision and intends to improve her writing skills.